How To Import OST File In Outlook 2016 / 2011 for Mac and Outlook 2016, 2013, 2010, 2007, 2003 for Windows! Find out the best solution here. It gets the data converted accurately. And you can also try it for free! How to Import OST File in Outlook 2016 / 2013 – The Method That Will Make You Look Like Pro! If you are looking to import OST file to Outlook 2016 / Outlook 2013, let’s first get the bad news over with. You cannot import OST file to Outlook 2013 / 2016. It’s literally impossible. OST file is an internal functional file for Outlook. It is automatically created when you add a new IMAP email account. The data and the changes you make are always in sync with the web-servers of your email account. Often, users delete original email account but keep a backup copy of OST file. This is a wrong assumption that OST is a typical data file that can later be used to restore data. It cannot be. Outlook doesn’t offer any feature or option to select files with OST format during import, or export. Therefore, if you do have an OST file without linked to its original email account, or if you have an OST file which is inaccessible due to some reason, what you can do is convert OST to PST using a third-party tool. And that’s the only way you can import OST file in Outlook 2013 / Outlook 2016. Well, actually, that’s the only way to achieve the same effect. By converting OST to PST and then by importing PST, you can get the data imported to Outlook. PST is a personal storage table file that can be used manually for all sorts of data migration, backup, import/export purposes. The good thing about PST is that it can also be used with Outlook Mac edition along with Outlook 2013 and all other versions in Windows. But the process of OST to PST conversion can be a nightmare. Since OST wasn’t developed in the first place to manipulate/convert data like this, it is a very difficult job to extract and implement data from OST to PST without losing the details and fidelity. You can expect to lose your images, attachments, headers, metadata, nested emails, and other components during OST to PST conversion. But don’t worry. There’s one way you can convert the files without such problems. It’s called “OST Extractor Pro,” which is a Mac and windows compatible software program from USL software that handles the data conversion exceptionally well, thanks to the advanced algorithms and dedicated logic for complex components. It also features options for flexibility that is otherwise very challenging to get in this process, such as splitting large PST files and so on. Add to that an incredibly easy to use interface and you get a perfect recipe for a professional standard of email migration. You can easily convert OST to PST and get your data from OST imported to Outlook 2013 (and other versions) effortlessly, even if you have no background technical information on email migration processes. The tool hosts several dedicated logics especially for elements that are harder to convert. Example: non-English text characters that use double-byte, UTF-8, Unicode, etc. You can also expect to convert data while keeping all the folders and their order/structure fully preserved. 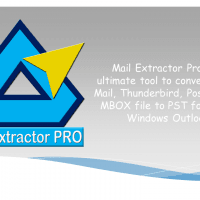 “OST Extractor Pro” is mostly used for OST to PST conversion, but it can convert your OST file to other formats too, such as MBOX and EML, Thunderbird, Postbox, and more. That means, you can use the application even if you want the data in OST files to be imported to Mac based email clients. Never worry about inaccessible data within OST files. Whatever the case may be, you can now easily convert those files to PST. And in effect, successfully import OST file to Outlook 2013, 2016 etc, including all other popular email clients as well. The link given below is a small installer file for OST Extractor Pro. Choose Mac or Windows version, install, and begin converting your email files like a pro! To import OST file in Outlook 2016, Outlook 2013 etc, try OST Extractor Pro today.